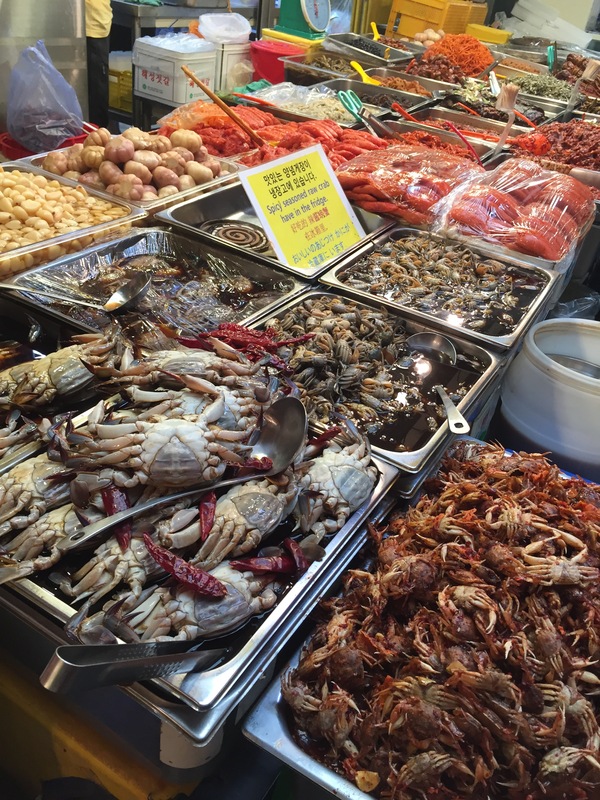 Can’t stop, Won’t stop shopping at Gwangjang Market! In addition to partaking in all of the delicious Korean street food that Gwangjang Market has to offer, you can work off those pesky calories by doing a lot of shopping! 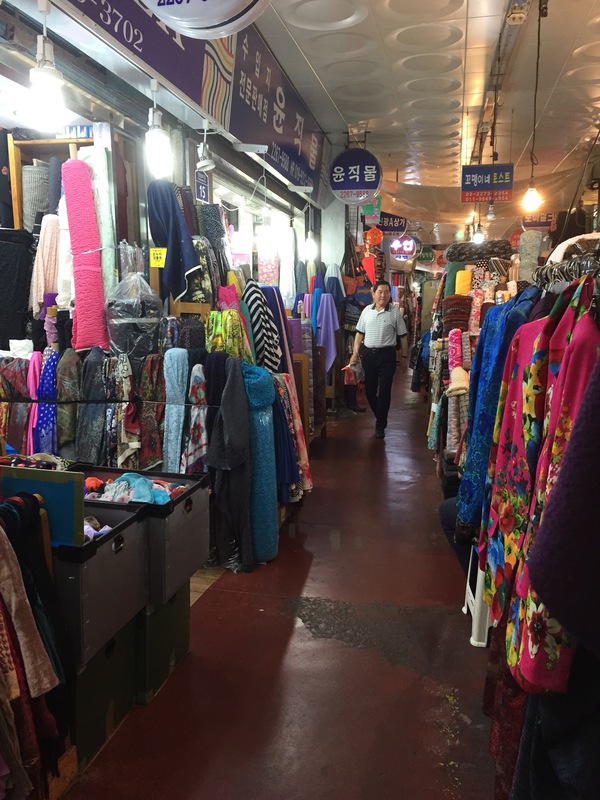 Gwangjang has a plethora of stores offering fabrics, buttons, bedding, Hanbok (traditional Korean clothing), vintage clothing, fruits & vegetables, and more! We had so much fun getting lost in all of the stores and going in and out the buildings seeing what we could find! 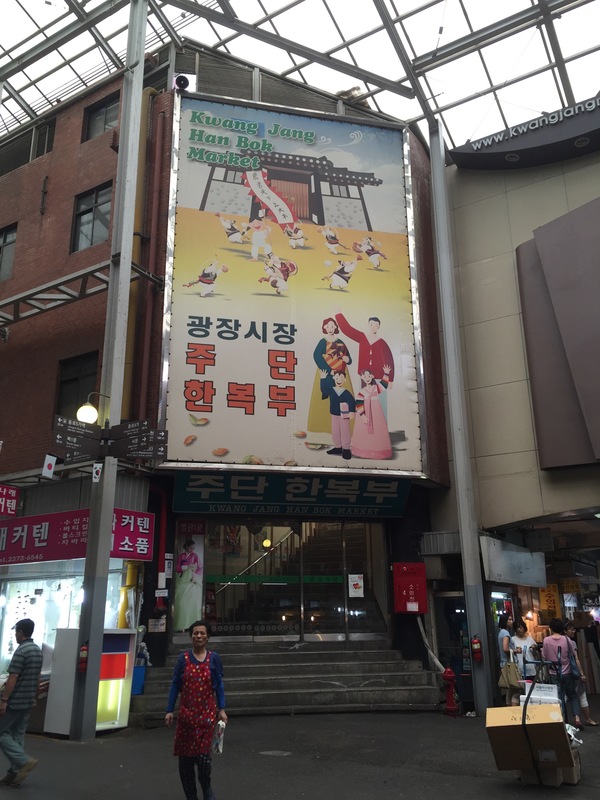 This building contains a ton of vendors selling custom Hanboks. You will also see stores outside in the alleyways, so definitely take a look around to find the store that meets your needs. If you would like to accessorize your own Hanbok, then you can find all the tassles your heart desires as well as embroidered patches at a few stores throughout the market. Here is just a small view of the myriad of stores selling fabric. They have basically any kind you could imagine. So if you are crafty or love to sew, you should definitely check it out. 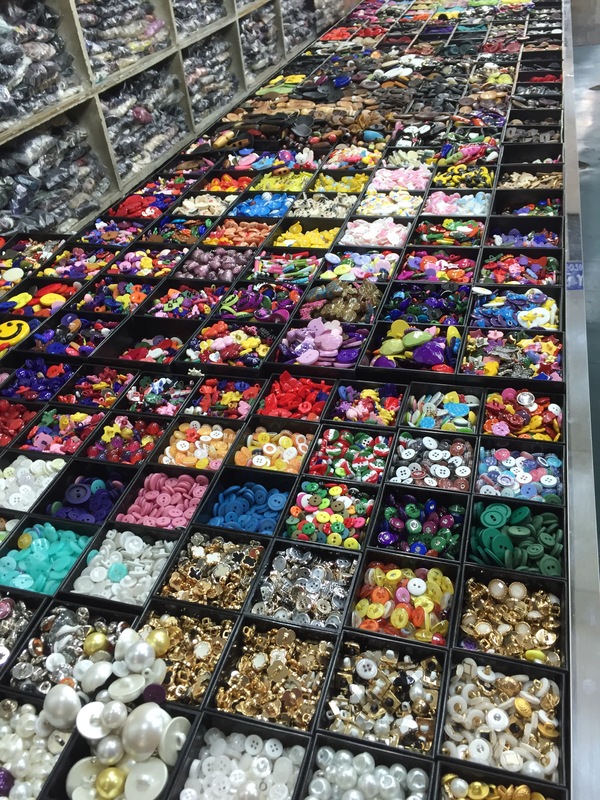 As we were meandering through the streets, we found all these stores offering beautiful buttons of all shapes, sizes, and themes. It was fun looking at what they had. You can even find shops who sell only bra cups! Might be a great find if you’re super talented and could make your own bra. Finally, before you go there are many stands selling fresh produce, meat, and seafood and get your grocery shopping out of the way as well! You can even try some marinated seafood. One very nice vendor offered us a taste of his sweet and salty tiny crabs, we were reluctant to try, but were happy we did. It sure was tasty! 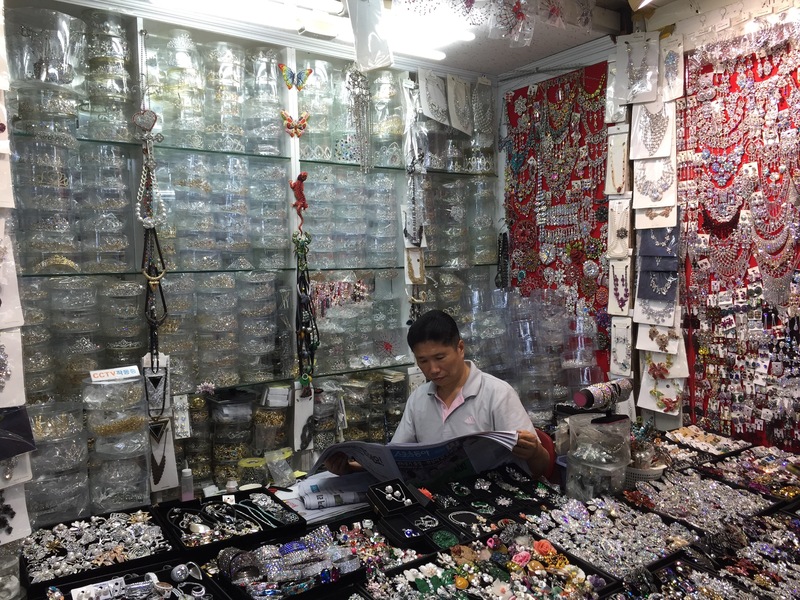 There are a lot of fun hidden treasures located throughout the market, you really never know what you’ll find, so don’t hesitate to really explore it all!